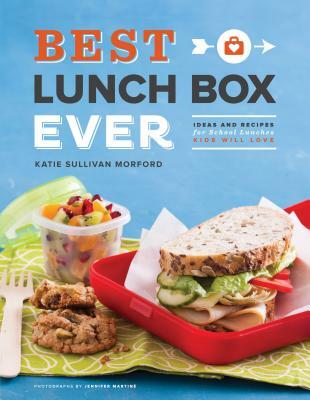 Best Lunch Box Ever is full of recipes, ideas, and strategies for packing creative and healthful lunches for kids, solving what is for many parents the most taxing of daily chores. Kids will love the scrumptiousness, while busy moms and dads will appreciate the quick and simple solutions for wholesome, balanced meals developed by Katie Sullivan Morford, a registered dietician and mother of three. The 65 recipes are easy, delicious, and—best of all—packed with nutrients for well-rounded lunches and snacks, including Deconstructed Caprese Skewers, Easy Cheesy Thermos Beans, Pesto Pita Pizza, Cinnamon Wonton Crisps, Parmesan Kale Chips, Crispy Applewiches, and more. Katie Sullivan Morford is a registered dietician, a freelance food and nutrition writer, and founder of the Mom's Kitchen Handbook blog. She lives in San Francisco, California. The Best Lunch Box Ever is a terrific gift to anyone who has to pack a lunch for a kid, and wants that lunch to be healthy-and eaten. Katie Morford has dozens of interesting and sometimes surprising suggestions for easy, delicious, and nutritious lunch items that kids will enjoy-if parents don't get to them first. I wish I'd had this book when my kids were in school. -- Marion Nestle, Professor of Nutrition, Food Studies, and Public Health at New York University and author of What to Eat. "This wonderful book is sure to get you out of a lunch-box rut, with inspiring, easy, healthful ideas for lunches that will put a smile on any kid's face!" -- Ellie Krieger, RD, author and host of Food Network's "Healthy Appetite"